These wonderful bits of wisdom and passion I found for you and recommend to read. On the great blog “talking birth” (where are really groundbreaking articles every week) this one is one I found to be extraordinary – and it has a really vibrent discussion – as it is not an easy one. and plant it firmly – deep in the core of my being. Today pregnancy has become a medical issue. As our world has become more technical and technological then ever before that is what happened to pregnancy and birth. But it is quite obvious that pregnancy is nothing technical, rational and for some women its quite obvious that its even not something medical. Pregnancy is as old as mankind. Obviously :), and part of our reactions and experiences in pregnancy and birth are as old, too. Pregnancy and birth have ever been social topics, in history as in present. Every culture has its own approaches but maybe you feel its time for some different approaches which are more holistic and more integrative than modern medicine alone. So what am I speaking about? I am speaking about living your bodywisdom and integrating the best of history, culture and medicine with your personal wisdom and taking back the responsibility of pregnancy and birth. That does not necessarily mean that you follow special ideas as natural birth and breastfeeding or others. This does not mean that you will not go to the screenings or can´t give birth in a hospital. It does mean that you open up to the meaning and feelings of pregnancy and birth and find your own way. Your own opinion, answers, strength, beauty and joy. To find these you need to come back to trust (instead of the viewpoint of fear and insecurity which is normally offered today). open up for personal growth – using the time of pregnancy what it psychologically is: a time for preparation for a huge initiation. Pregnancy is such a great time for this kind of shift and growing – because it’s the normal healthy way it should be. Pregnancy helps us in viewing at old patterns and new insights and it comes with better-to hear intuition and normally much emotional chaos (which is part of every opening, healing and learning process). So what could this new and at the same time old way of experiencing pregnancy look like? This is a very personal journey you will take. And for that you have the possibility to do it completely alone, or with one-to-one support through coaching or with a group experience or altogether as it fits in the moment. And that perfectly summarizes my offer to you. Listened to the Worlds Biggest Summit? Welcome! If you don´t know the great Worlds Biggest Summit you can find it over here. And you can register there even if its late October, as you get free access to all the 100 workshops / interviews / talks there. Its great! If you are a member and just came over from the Worlds Biggest Summit, this post ist for you. I warmly welcome you here, I am very happy that you came over and hope you enjoy your visit here. 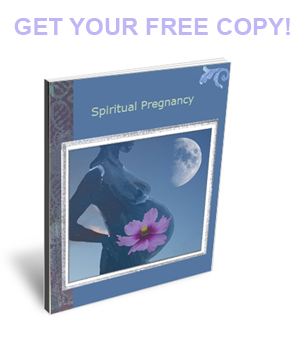 Here is the Link and introduction to the BirthCircle for experiencing great and spiritual pregnancy. 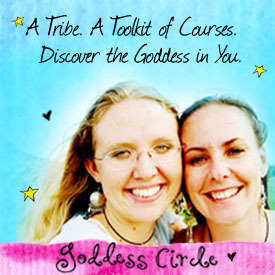 And a direct Link to the BirthCircle: http://birthcircle.mixxt.at Membership of the BirthCircle is free! If you have question, I´d love to answer them. So please feel invited to leave your question, your thoughts on the talk, your impressions, your experiences and your wishes here in the comments. I am happy to answer them. If your question feels to personal for a blogcomment, then please write me a mail, using this form. P.S. I am working on a special pregnancy journal for your pregnancy. Which will be released in November! And there are great other things coming to, as these colourful inspiration cards. 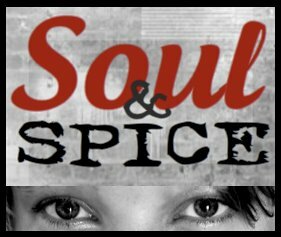 So you might want to subscribe to my mailinglist to stay informed! Did you know that singing a easy simple melody or intonation over and over again our body and our brain are very healthy stimulated. Our breathing gets deeper and healthier, our brain starts pulling out Happyness-hormones such us serotonine. After a few minutes chanting or singing our body sets free the hormon Oxytozin, which is connect to love, motherlove and bonding. So negative feelings are resolved and even pain is reduced. So thats why I strongly recommend mantra meditations for rebalancing when you are experiencing fears, worries, anxiety or other feelings that keep you feeling lost, lonely, desparate. This little exercise will help you to immediatly feel better so that you can take responsiblity and action. This kind of healing work is extremly simple. And you don´t need any knowledge, any practise, you cant do anything wrong its just that easy. All you need to do is to serously try it out. I know that it works and I use it often. Although chanting always helps on my experiences the indian mantras help even better. The mantras I use comes from kundalini yoga. I believe that this special words will help most. And for us it is beneficial that we don´t understand them – maybe this is why they work so good. Our mind can´t do anything with it. Its just a vocal or a nonsense word. So no thinking around, critisizing is possible and it can directly sink in to the unconsciousness. If your are not used to kundalini yoga and chanting mantras it probalby will feel quite strange in the beginning. I would like to encourage you to try this out whether you feel a bit silly doing it or not. Because when you first got over this initial feeling and start getting used to it, it is extremly helpful. The mantra I use in this video – which is the one I use most – is Ra Ma Da Sa Sa Say So Hung. I think when it´s written it looks more complicated as it is, when you hear it. It is a good and strong healing mantra. You can`t completly translate mantras, they are special meaningful combination of healing words, so there are several ways mantras can be translated. So enjoy this video and do a mantra-meditation with me. If you want to dive deep into your feelings. If you long to connect with others. If you wish emotional support. 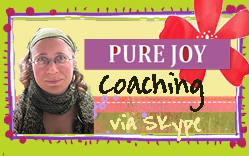 your are warmly invited to join the sacred BirthCircle. Read more here. Pregnant woman can have a deep relationship to their baby when its still in their womb. Most women do that without even thinking: the heart pours over with love for the baby. Such a connection to the baby is very important for its wellbeing. The connection between mother and embryo is so tight as nothing else in the world. The baby hears the mothers body from inside, it feels directly the mood of the mother through hormon-messages, body sensations and the mothers voice. It could be that babys even have a connection to the subconsciousness of their mother. Psychologists say this might be, and mothers know.